I know what your thinking. This necklace is far too small and dainty for my liking. As a girl who is aware of her eye for large and over-the-top jewelry, I would agree with you. But there is something about the changing of the seasons, the crisp fall air and colorful sunsets that brings me back to a place of simplicity. Granted, this vibe may only last a week, but ya know... I'll just go with it! Recently, the idea of a simple chain necklace has been catching my eye. 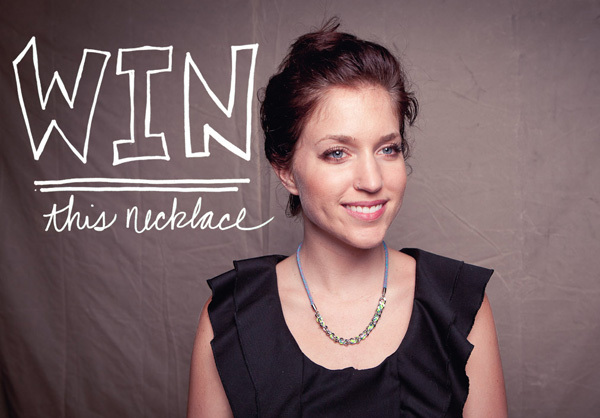 To not only wear on it's own, but to layer with other chain necklaces with chunky sweaters and t-shirts. 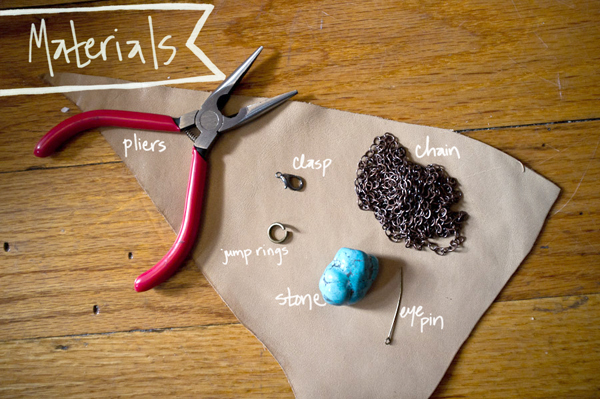 I've seen a variety with small stones on them and figured that was one easy as pie DIY. And trust me, it's pretty darn simple. - Wrap and measure out the chain around your neck to the desired length. Cut the chain. - Attach the clasp to one end of the chain and a jump ring to the other. This will be the closure to your necklace. - Attach a jump ring to both ends. - Find the center of the chain and cut with the pliers to create two ends. Attach the jump rings to the ends of each chain end and then to the eye pins on the stone. 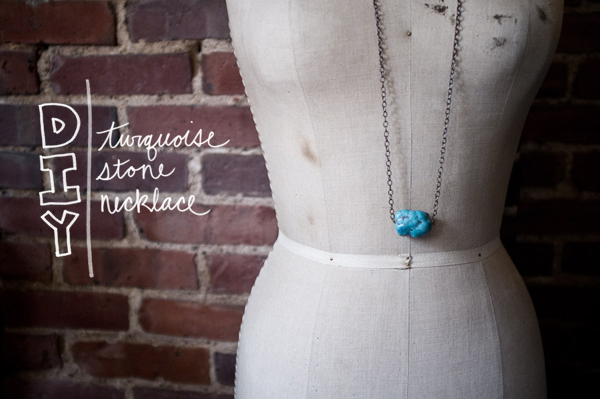 - You have now completed your very own simple fall stone necklace. Proceed to wear with everything! Well, my birthday has passed, and that means no more gifts for me. But, y'all are in luck..... because in honor of my birthday, Good Season wants to gift you the stunning necklace below! As you've seen me previously mention, Marie of Good Season will be in attendance at the San Fran and LA Renegade Craft Fair's. West coast friends..... be sure to swing by and meet her! You'll be glad you did, she's quite the gem! - To win this pretty piece, please visit the Good Season website and Twitter, and leave a comment below with your email address and your favorite piece from the current collection and why you love it! Winner will be announced next Friday, June 27th. BONUS POINTS if you mention you started following their Twitter account. And who doesn't like bonus points?! May the odds be ever in your favor!